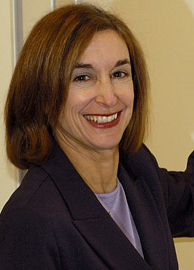 Ellen Rudnick previously served as Executive Director of the Polsky Center and Clinical Professor of Entrepreneurship and, together with Steve Kaplan, was instrumental in the creation of the entrepreneurship programming at Chicago Booth. Prior to joining the Booth faculty she spent 25 years in business management and entrepreneurial activities, primarily in the health care and information services industries. During this time, she was president and CEO of Healthcare Knowledge Resources, president of HCIA, chairman of Pacific Biometrics, and corporate vice president of Baxter Healthcare Corporation. She works with the many start-ups that emerge from Chicago Booth’s entrepreneurship programs. Both her governance activities and start-up interests help her to bridge the gap in the classroom between the theoretical and the real world. Rudnick has been the recipient of a number of honors, including Today's Chicago Woman 20th Anniversary Hall of Fame, the YWCA Leadership Award and the Illinois Venture Capital (IVCA) Richard J. Daley award. She serves or has served on numerous corporate boards including Liberty Mutual, First Midwest Bank, HMS Holdings, Patterson Companies, Oxford Health Plans, Northshore University Healthcare Research and Development , the Chicagoland Entrepreneurial Center/1871 and MATTER. She earned a bachelor's degree from Vassar College and an MBA from Chicago Booth. Yoga, biking, classical music, parenting.